Advances in Asymmetric Autocatalysis and Related Topics provides various viewpoints on the important developments in asymmetric autocatalysis that have occurred in the past few years, also including brand new information in the field. Asymmetric autocatalysis is a chemical reaction which leads from achiral starting materials to chiral products, and in which the product accelerates its own formation reaction (conventional catalysis) and promotes the prevalence of its own chiral configuration (asymmetric induction). The combination of these two effects in the same reaction was unprecedented before 1995 when it was first described by Kenso SOAI at the Tokyo University of Science. Since then, several new combinations of this effect have been found, most intriguingly the possibility of absolute asymmetric synthesis, which is the spontaneous formation of the excess of one of the enantiomers of the product, a dream of organic chemists for more than a century. The book contains expert-contributed chapters that describe the most exciting recent developments in the field of the Soai reaction and in related topics, ranging from mechanistic studies and theoretical research, to very practical problems in chiral syntheses and products. 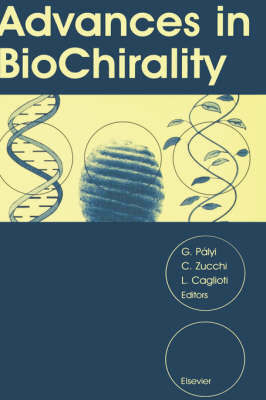 Buy Advances in Asymmetric Autocatalysis and Related Topics by Gyula Palyi from Australia's Online Independent Bookstore, Boomerang Books. Dr. Palyi is a Professor (Retired) of Chemistry of the University of Modena and Reggio Emilia (Modena, Italy) and member of the (Italian) National Academy of Science as well as other Academies. He has authored and edited 5 books on chemistry, patents, and 250 publications cited more than 2000 times by other authors. He has been the chief organizer of the International Symposia on Biological Chirality (since 1998) and of the International Symposia on the Soai Reaction (since 2008). Dr. Kurdi is an Associate Professor of Chemistry in the Institute of Environmental Technology of the University of Pannonia (Veszprem, Hungary); Head of Group in the Technology Transfer Centre of this University; and President of the "Lajos Bencze" Research and Development Foundation. He holds an MA (Diploma) in Chemistry (2000), PhD in Chemistry (2008), both from the University of Pannonia, and has published 22 articles in high-impact Journals, with over 200 citations. Dr. Zucchi is Coordinator and Lecturer of the masters course in Handling of Chemical Substances (REACH & CLP) at the University of Modena and Reggio Emilia (Modena, Italy), under the patronage of the (Italian) Ministry of Health, as well as Tutor or Co-Tutor of Masters Theses at this University. She also served as Chair of the Scientific Committee of the 3rd International Symposium on the Soai Reaction and Related Topic (2015). She earned her MA (Diploma) in Chemistry (1989), PhD in Chemistry (1994) both at the University of Modena. 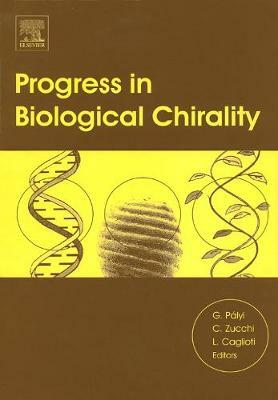 Dr. Zucchi is the co-editor of 5 books (including 3 with Elsevier) and is author of 84 publications with over 700 citations.